Join the HR Daily Advisor community! By subscribing to HR Daily Advisor, you will gain access to the following complimentary benefits. Stay up-to-date on the latest industry trends, technology, and best practices from our editorial team, led by Stephen Bruce, PhD, PHR, who has more than 40 years of experience in HR. Attend live webinars with industry-leading speakers. Get your questions answered and earn recertification credits. Access 100s of free reports and guides, such as Benefits of a Total Reward Strategy. You'll receive it instantly when you subscribe to the right. By completing this form, you will receive a newsletters and special offers from HR Daily Advisor. We know that when it comes to health benefits, employees want choices. And they expect their employers to help them understand those choices. Studies show that people are more satisfied with their jobs, and less likely to look for other employment opportunities, if they believe not only that their employer offers good benefits but also that the benefits are well-communicated. 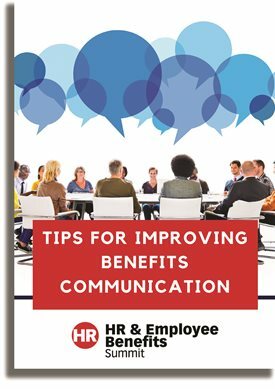 This report will show you 3 ways to improve your benefits communication now. Fill out this form today to instantly get your report!